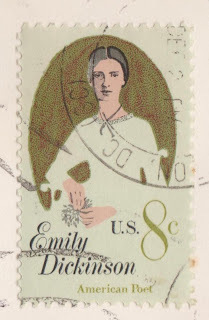 I’ve loved the poetry of Emily Dickinson since I was at school, so I thought I’d note her strong Gunn links, including descent from the first Gunn known to settle in North America (Jasper Gunn). ... Samuel Fowler Dickinson who became Emily’s grandfather. In 1802 he reinforced the blood ties with the classy Montagues when he married Lucretia Gunn, whose mother was a Montague and whose home town was Montague, Massachussetts. Grandmother Gunn was tart and ill-tempered, and later generations of Dickinsons tended to excuse their outbursts by saying it was Grandmother Gunn ‘coming out’. It would not have been beyond beyond the poet to joke about this explosive reference in her line, ‘My Life had stood—a Loaded Gun’. Page 32 Lives Like Loaded Guns; Emily Dickinson and her Family’s feuds, by Lyndall Gordon, 2010 edition, Virago Press. Which then should be read against Robert R. Gunn’s The Gunns - Part 2 Chapter 1’The New England Gunns’ - which discusses this line in detail. And further information about Jasper Gunn can be easily found elsewhere on the internet.